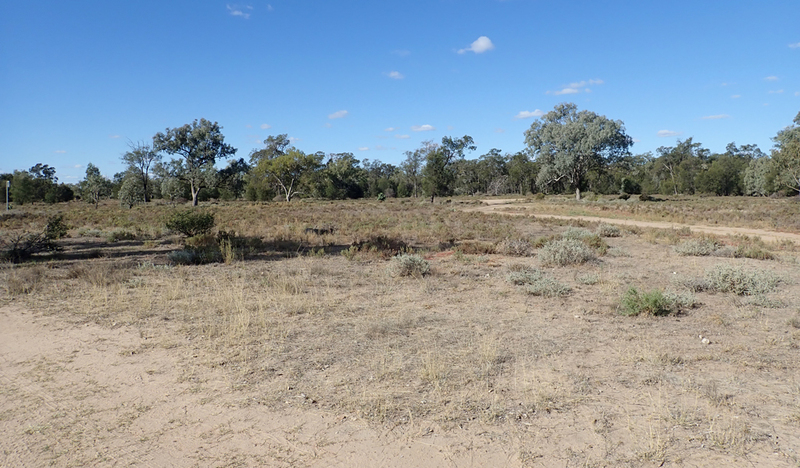 We left Bengalla Reserve this morning and called into Lees Reserve for a look. The water was definitely up a lot higher than the last time we were there. 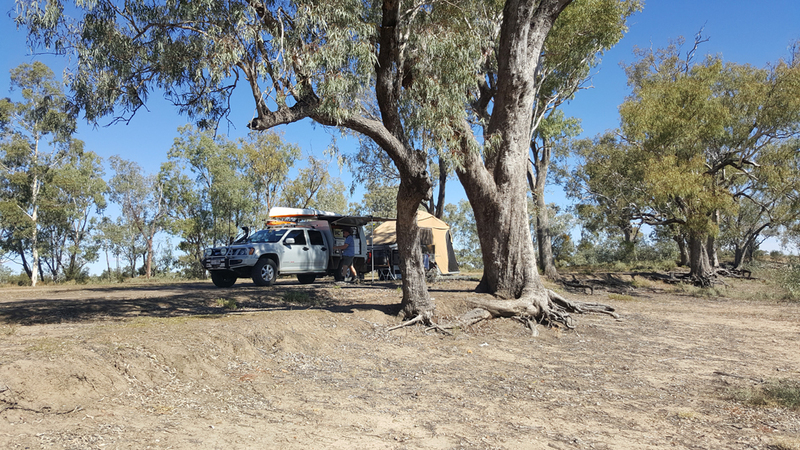 We had morning tea before heading into Goondiwindi. Due to Anzac Day part of the Main Street was blocked off and the place looked very busy. 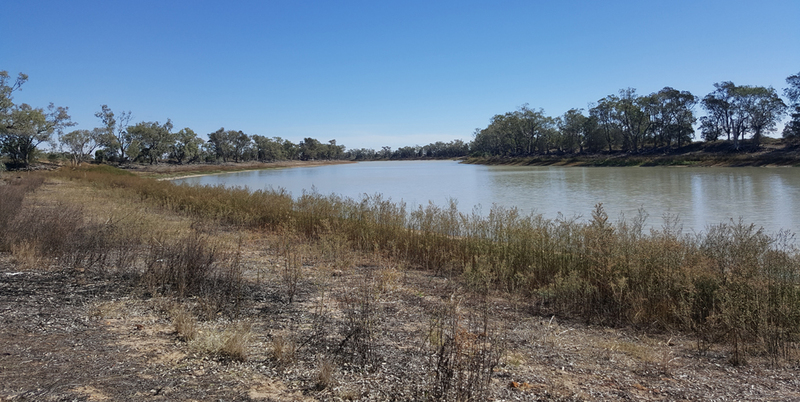 After catching up with people back home we headed to Boobera Lagoon which is approx 20kms along the Mungindi-Goondiwindi road. 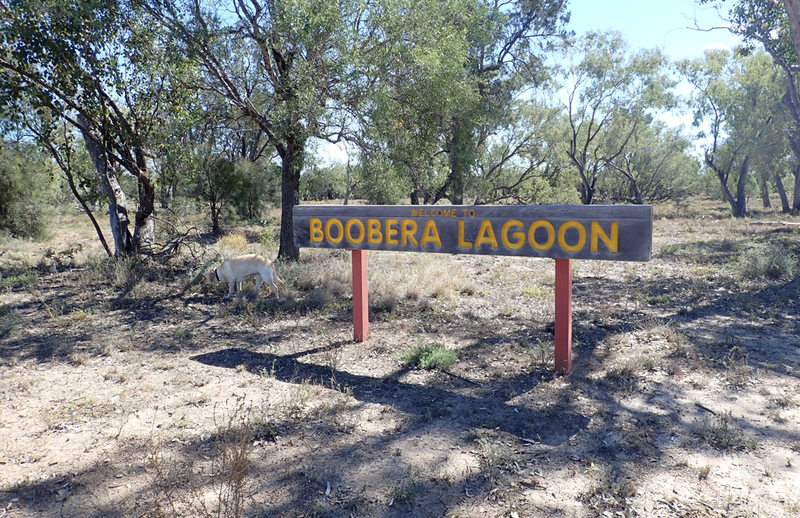 It’s sign posted on the main road, then it’s a few kms in to the Lagoon. 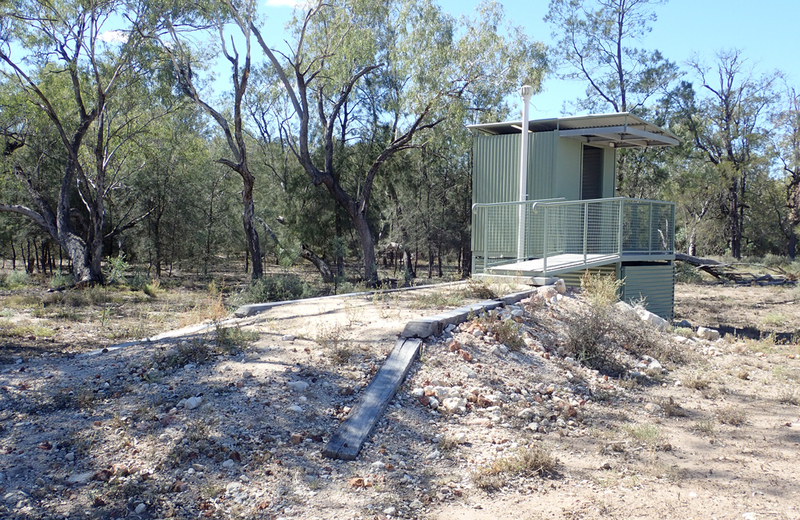 There is toilet about 1km from the waters edge but it’s pretty yucky. One track leads left a short distance, another turns right and goes for someway. 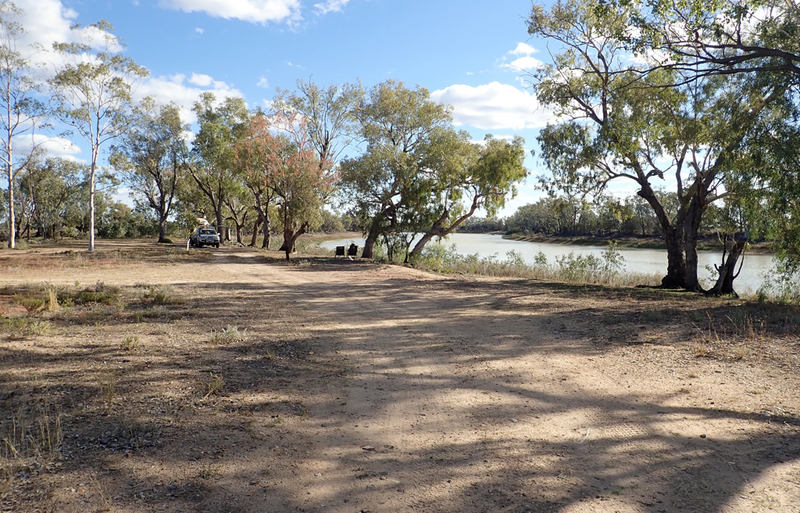 Few good spots to camp along that track but it is opposite some farm houses across the other side of the Lagoon so we opted to camp up the left track. 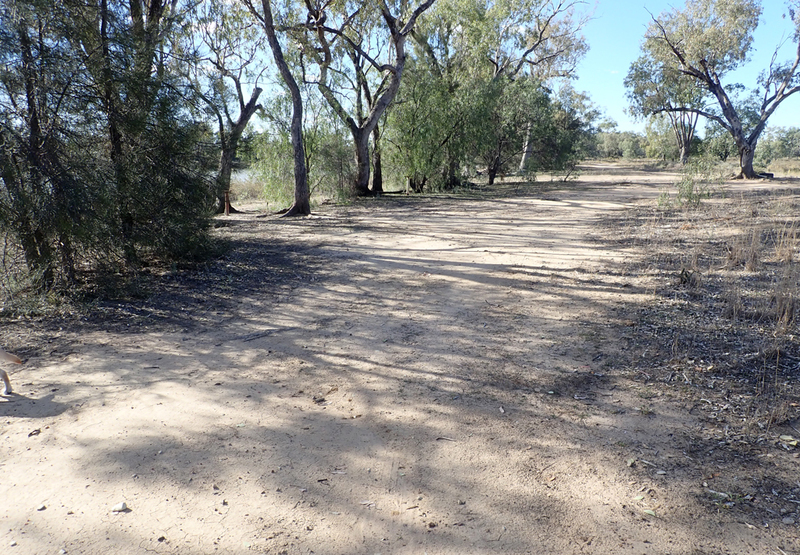 It’s very dusty and there are prickles so watch dogs and kids feet. 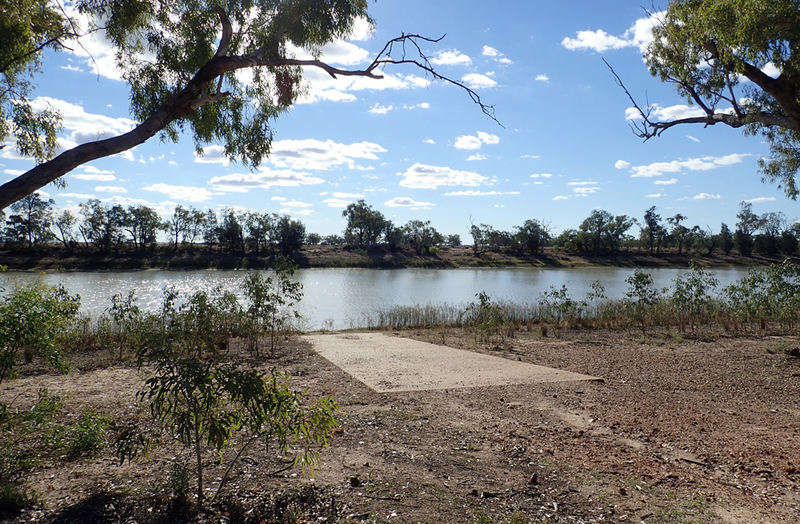 There is an old Aboriginal Grave site and because of this no motorised water sports are allowed on the Lagoon any more. 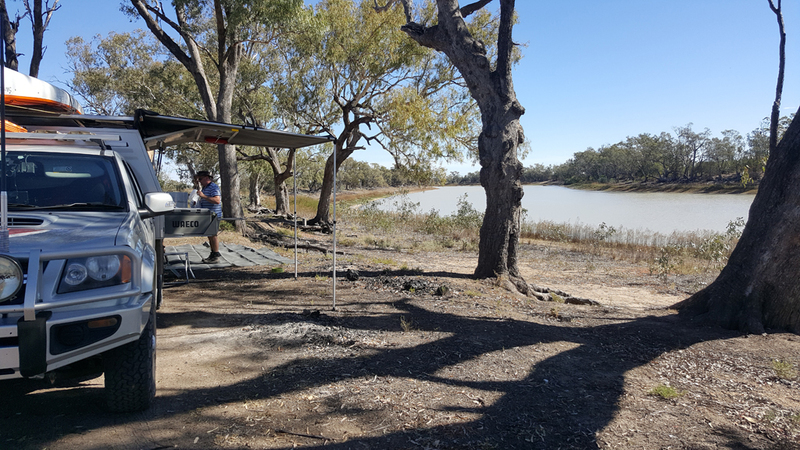 We had a local farmer drop in to say hi and he told us this was once a popular spot for water skiing, with BBQ’s, tables and chairs and even some sprinklers setup for some nice green grass. It really would have been a lovely spot for the local town. All that is left of that time is a few old foundations, pity. We have the area all to ourselves, very peaceful. Road traffic and some distance car lights can be seen and heard every now and then but it’s not an issue.